Well, the Jetpack documentation explains that they do use look for a sidebar with some predefined ID to show it at the bottom of the page. It means that maybe you do have one of your sidebars shown there. If this is the case, you have no choice but to rearrange the content of this sidebar to match it to mobile page. 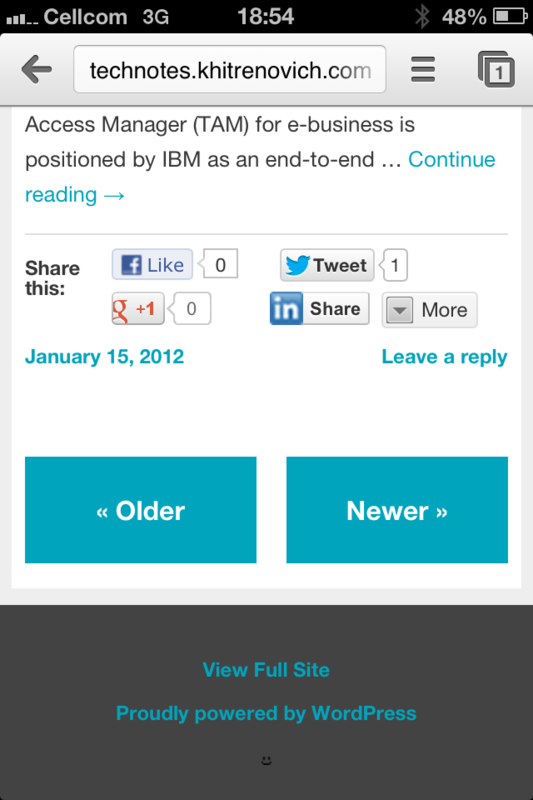 Otherwise keep reading, and I will explain how to add a new dedicated sidebar for mobile theme. First, you have to register a new sidebar. This can be done directly in your current theme, but creating a child theme is more elegant. Also, you will not lose the changes if your theme will be updated. The process is pretty straightforward – create a folder for your new theme (I named mine “Mobile Plus”) and placed it under “wp-content/themes/mobile-plus” folder. Then create the basic “style.css” file (required for a child theme) and the “functions.php” file – this one will register your new toolbar. Here is the “style.css” from my theme. Note that my main theme is “andreas09”, you have to use the name of your main theme in the highlighted lines. Here is the “functions.php” from my child theme. You can use it as-is. Note the only function call in the highlighted line – this is the line that registers the new sidebar with the required ID. That’s all. Now you can switch to your new theme and add the Mobile Banner from Google Adsense (or another mobile ads code) to your fresh Mobile Sidebar! 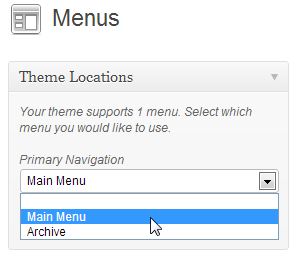 Note: Don’t forget to re-select the menu your theme is using, as by default it is not set for the newly chosen theme! This entry was posted on December 7, 2012 at 20:09	and is filed under HOWTO. 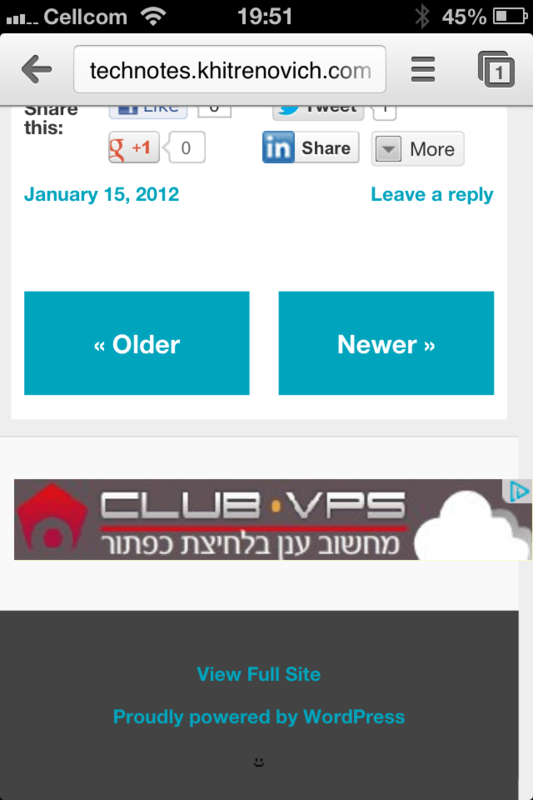 Tagged: Jetpack, WordPress. You can follow any responses to this entry through the RSS 2.0 feed. You can leave a response, or trackback from your own site. Awesome issues here. I’m very glad to look your article. Thanks so much and I am looking ahead to touch you. Will you please drop me a mail? Are you interested in something specific? Hello, i think that i noticed you visited my website thus i got here to return the choose?.I’m trying to in finding things to improve my site!I assume its adequate to make use of a few of your ideas!! This works for me. Many thanks Anton. I was almost giving up before I ran into your blog. I agree that it is not perfect. thanks a lot for this article, and jetpack has been the most popular wordpress plugin. BUT i always prefer not to use the mobile friendly option, because i find that option weird. 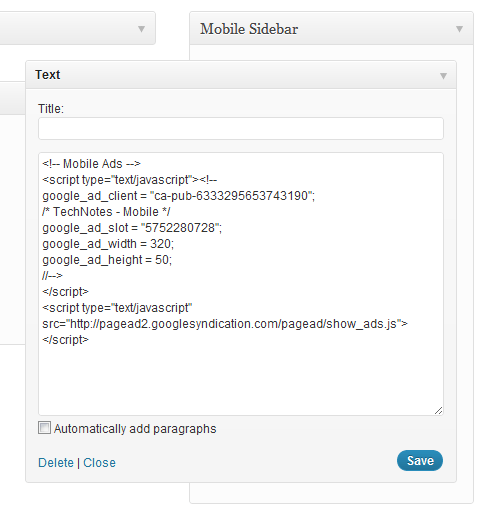 when i enable that feature, i see the mobile version is enabled for both desktop and mobile site. so i prefer rather then using this, use a responsive theme. Strange. It is enabled here, and I see mobile version on my phone only. The regular version is shown on desktop and tablets.